Focus of the course: This workshop is aimed at developing skills in the use of chair work and mode work within schema therapy. Participants will learn skills in improving chair work and managing commonly experienced difficulties in applying this in treatment. The workshop will utilize newly developed Chair work in Schema Therapy video teaching resources, and allow time for attendees for practice skills. Are you looking to improve your skills in mode work and the use of chair work in schema therapy? Are you seeking new skills and methods in working with strong coping and parent modes observed in challenging clients? Do you also feel that in your clinical practice patients seem to be more challenging then the patients described in books and articles? Methods in using chair-work to “mode out” and formulate triggering events and patterns. are unwilling to do mode dialogues and are resistant to experiential work. Different methods to “quarantine” parent modes, & enhance limited reparenting of child modes. Troubleshooting chair work and ways to enhance the therapeutic effect of mode work. Ways to use chair work to enhance client’s Healthy Adult mode in treatment. The workshop is intended for: Intermediate. It is assumed participants have either attended some schema training before, or have some familiarity with schema therapy or schema Mode work in their practice. 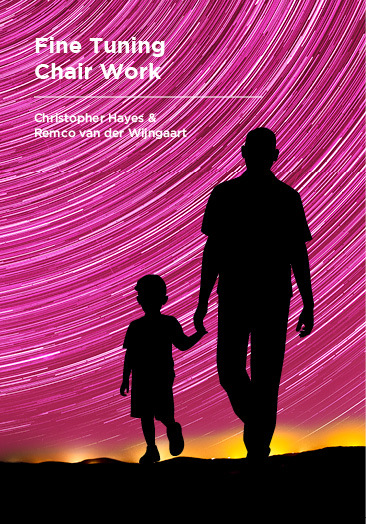 The workshop follows the release of a 3 part specialist DVD set "Fine tuning Chair work in Schema Therapy" (Chris Hayes & Remco van der Wijngaart, 2018). We aim to have 1 presenter for every 20 attendees, allowing participants to have optimum coaching, observation and adequate supervision of skills- places are limited.